You’ll never forget to bring your reusable bag to the grocery store ever again when you make this market tote bag. You’ll be looking for more reasons to use this bag than just for carrying groceries when you finish it and realize how cute it is. Put your single crochet stitch to work to make the body of this crochet purse, and to make the strap, too. 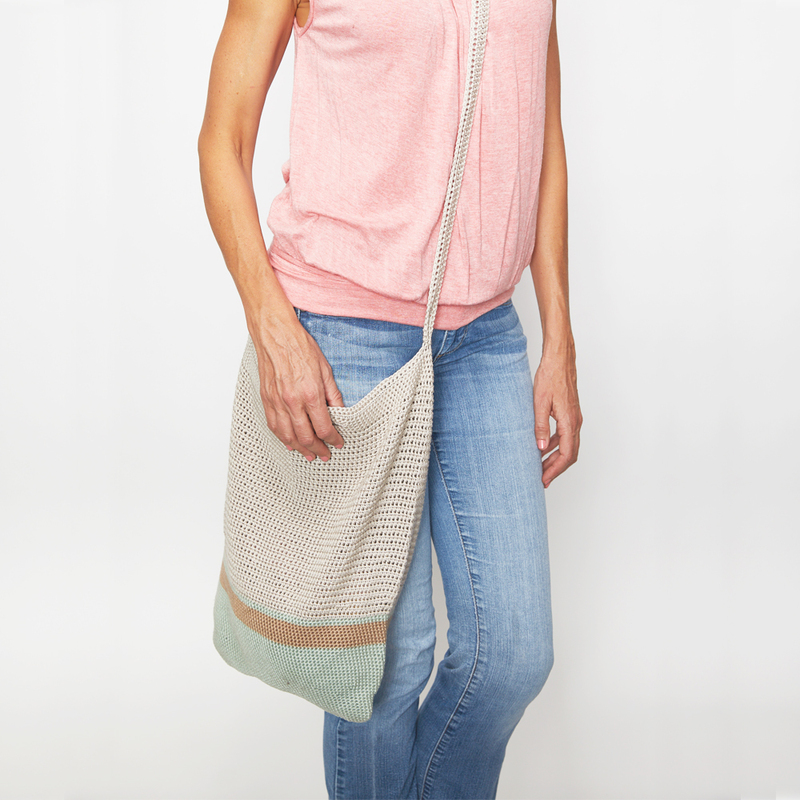 This bag is simple and easy to make, and looks great. You get to choose three of your favorite colors. Choose three to complement each other or coordinate the bag to match the color you wear most often. Or get bold and pick a color that pops. 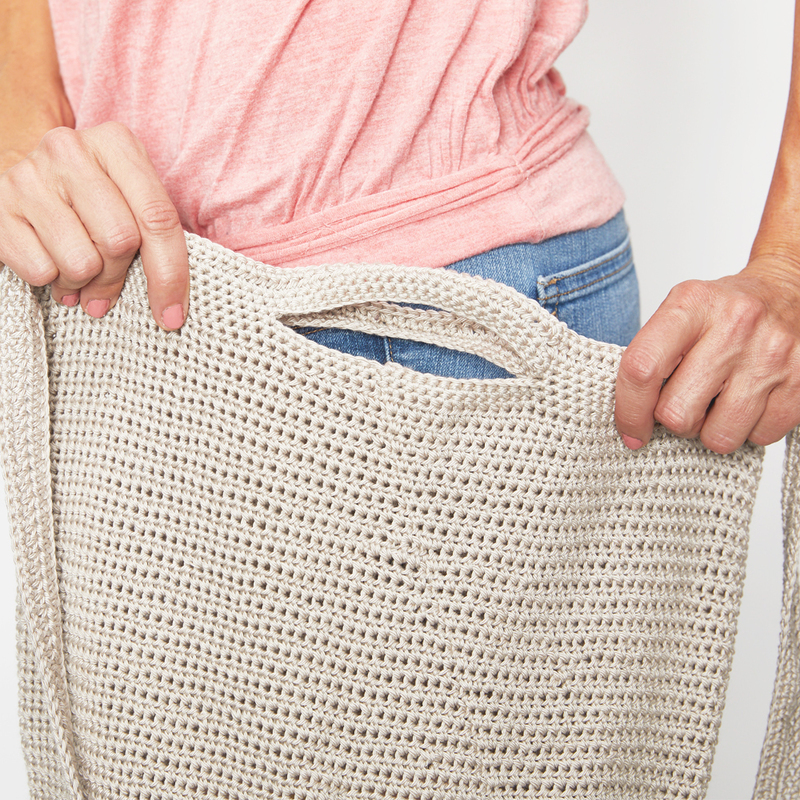 We can picture this crochet tote bag looking great as you carry it on a plane on your future travels. Or bring it along to a festival, and really work that boho inspired angle. It’s also the perfect size for a beach bag and it can carry all your daily essentials. 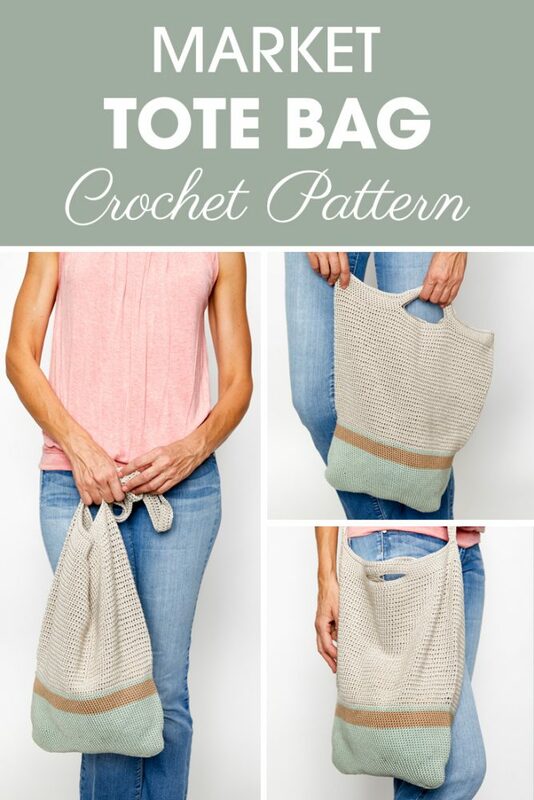 Get The Market Tote Bag Crochet Kit Here while it’s still available. Yarn: 2 skeins Cascade Ultra Pima DK in Buff, 1 skein Cascade Ultra Pima DK in Sage, 1 skein Cascade Ultra Pima DK in Sand. 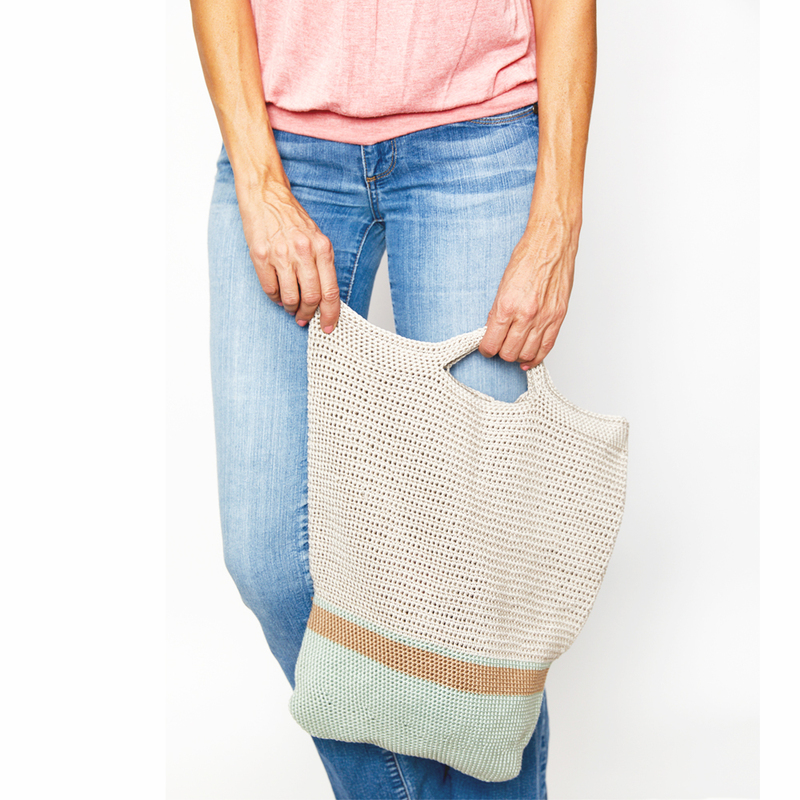 Get this yarn and the digital pattern in the market tote bag kit we put together here. Round 1 (Sage): Make 3 sc in the second ch from the hook, placing a marker in the center of the 3 sc, then make 42 sc down. In the last stitch, make 3 sc, marking the center st again, then make 42 more sc down the opposite side of the ch. Sl st to join. Round 43: Lay work flat, mark the center stitch of each side. Hdc to st marker, make 3 hdc in that st. Hdc around to other marker and make 3 hdc in that st. Round 77: Make a sc into the next 52 st, ch 25, sk 22, 1 sc into the next 52 st.
Rounds 81 & 82: Sc into each st around. Break yarn and weave in ends. Ch 201, leaving an 8-9 in tail. Rows 5 & 6: Sc into each st. Leave an 8-9 in tail. Lay bag flat and mark the center 4 st on each side. Line up the edge of the strap with the marked stitches, and use the tail to whip stitch in place. Weave in ends securely, and trim. Wherever you wear your bag, we want to see it. Let us know the story of your latest outing with this market tote bag. Whether it’s your go to shopping bag or your in-flight carry on , we think every time you take something that you made yourself with you, it’s an exciting time.